Car rental Arrecife offers you only the best prices for car rental services and modern rental cars of different types (mini, economy, standard, luxury cars, minivans etc.) whenever you need to hire car Arrecife. You can rent car Arrecife online using RentalCars24h.com rental car service and get your dream car right now! 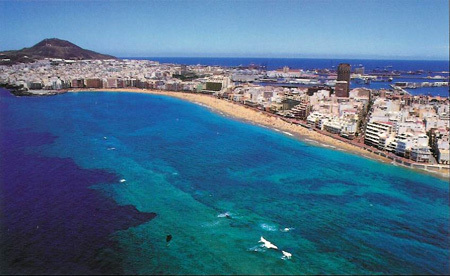 Rent a car Arrecife with RentalCars24h.com and see everything this city got to show you! Arrecife is the capital of Lanzarote island. This part of the island is undoubtedly the most interesting of the whole archipelago: the intense volcanic activity has created lunar landscape, making this place truly unique. One of the two main attractions of Arrecife is a fortress of San Gabriel that was built on a small island in the XVI century. Now the fortress is a tiny Archaeological Museum. Another attraction is the British capital's freighter “Temple Hall”. You can see “Temple Hall” on the east side of Arrecife. RentalCars24h.com offers you reliable car rental Arrecife services that will help you to feel free and independent when moving around the town. Providing best online prices for car hire Arrecife services, RentalCars24h.com allows you to save money each time when you rent a car in Arrecife.